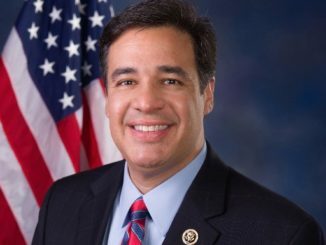 SEATTLE, Idaho — Taxes on are the rise again in Seattle, Washington. 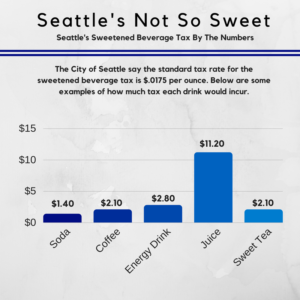 The Seattle City Council recently implemented a “sweetened beverage tax,” aimed at taxing distributors and consumers who buy sugary drinks. The tax rate of almost $.2 per fluid ounces may not sound like much, but ask consumers as a local Costco and the tax really packs a punch to their pocketbooks. One Facebook user sent KID Newsradio an image of a sign in a Seattle Costco detailing how the new tax would impact buying a case of Dr. Pepper. A case of 36, 12 oz. cans of Dr. Pepper normally runs $9.99 at the Seattle Costco. After the sweetened beverage tax, an added $7.56, makes the new price almost $20. The same sentiment was echoed throughout circles of consumers, beverage distributors and businesses in the city. The rules are tricky, though. Diet coke and lattes are free from the bonds of taxation. But, that doesn’t mean the City of Seattle will lose out on any revenue though. According to the Seattle Times, the new tax will potentially bring $15 million to the city’s coffers. City officials say part of that revenue will go towards government programs, but how much households will see leave their bank accounts remains to be seen.